Sandy Feet Cleaning is your trusted locally owned and operated Hilton Head Window Cleaning Company. 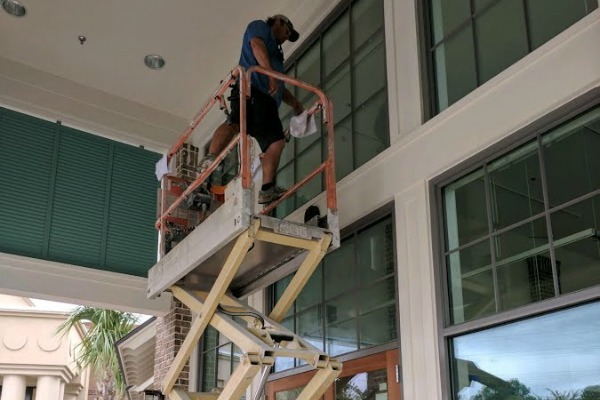 With over a decade of washing windows in Hilton Head, SC, we experienced with the needs of retail and commercial property owners. Having your windows sparkle is the first step in wowing your clients, and a detail that is often overlooked. Don’t turn a blind eye to dirty windows! 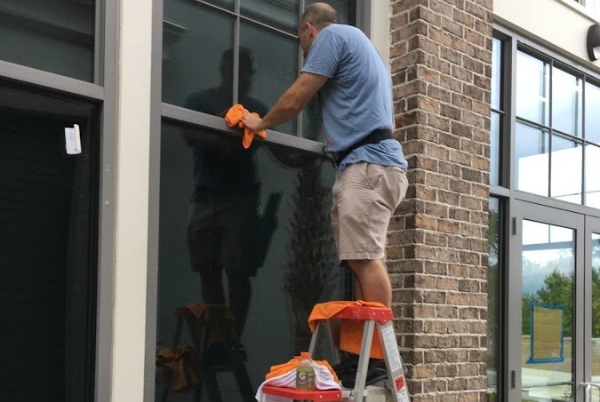 Sandy Feet offers professional window cleaning services for both the inside and outside of Hilton Head businesses and the surrounding areas. 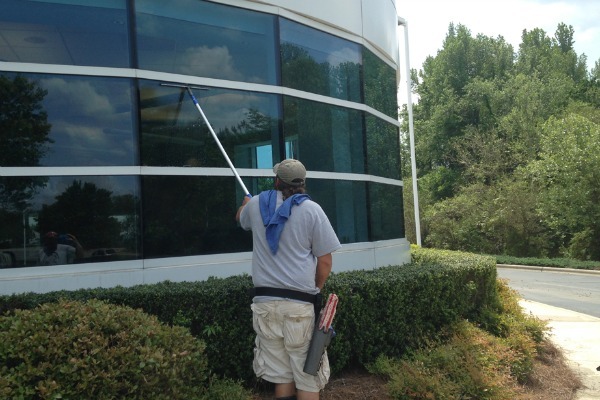 Whether you have a small business in Bluffton with a few windows, or a multi floor commercial building in Okatie with hundreds of windows, we provide quality window washing services at competitive price. We are professional and efficient and will take on all jobs, no matter how small your office or how large the building. Height is not a problem as we have experienced staff with a head for heights, and we have strict safety measures in place. We know you have choices when choosing a window cleaner on Hilton Head, but at Sandy Feet we stand out from our competitors. As longtime Island residents, we have a first hand knowledge of the local weather, seasonal changes, and special challenges our environment can present to your windows. 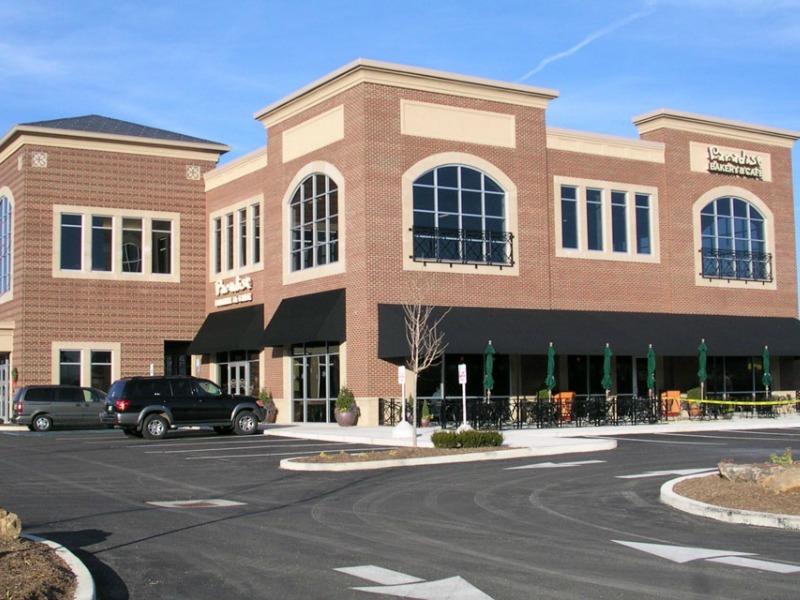 In addition, we are one of the few local companies that specialize in commercial windo cleaning. No job is to big and we have all the necessary equipment to get your windows loking amazing. 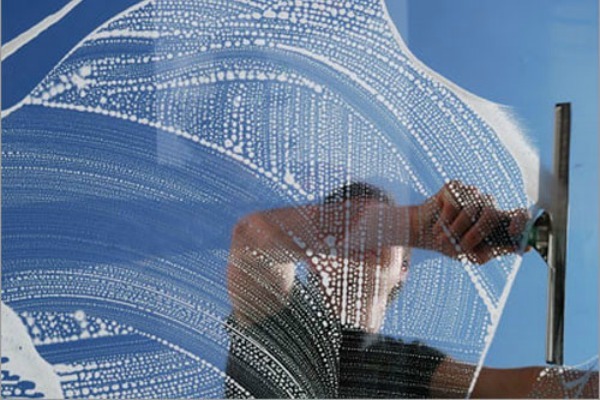 When looking for a local Hilton Head window cleaning company, you can count on Sandy Feet Cleaning. Our staff and crew is uniquely experienced to deliver amazing results for you retail and commercial window cleaning needs. You can expect reliable service, clean and tidy employees, and a job well done.